Come visit Huxley's Boarding House, home of the mysterious clock tower! We are an exclusive retreat for people who want to get away from it all and learn what life was really like in the Victorian Era – no phones, no technology! Our strict schedule of daily activities will help immerse you in the experience and must be adhered to at all times. The waiting list to get in is long, so sign up today! 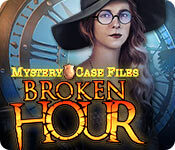 Mystery Case Files: Broken Hour is rated 3.4 out of 5 by 36. Rated 5 out of 5 by deddu from GREAT GAME Loved the mini-puzzles that had multiple parts. Great Fun! Rated 5 out of 5 by fabfeebs44 from Horrible, avoid avoid avoid !!! 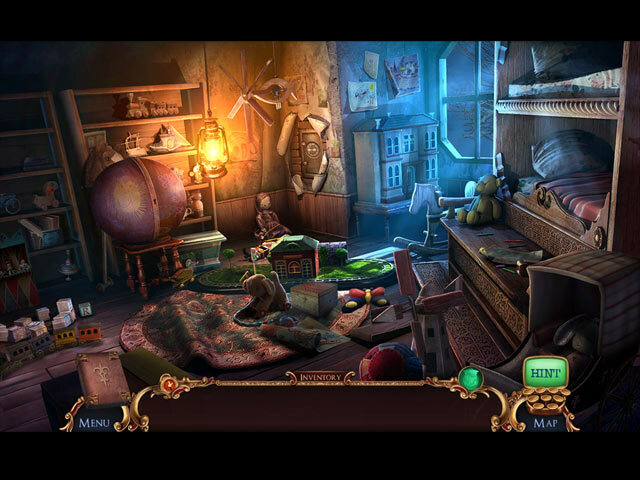 Mystery Case Files used to be the best games ever. Please bring back that standard. I didnt even finish the game. It was stupid, made no sense and was not FUN !!!!! That is the reason we are buying these games, so please up your game Big Fish and dont sell out !!!! Rated 5 out of 5 by chondro from MINI GAMES/PUZZLE LOVERS !! MINI GAMES/PUZZLE LOVERS, THIS IS A GAME FOR YOU. I REALLY ENJOYED THIS GAME. I DID NOT WANT TO FINISH! Rated 5 out of 5 by fiewi1 from The legacy lives on My, my... That was a pleasant ride. And the distinct music sounding from time to time... What a joy. Eerie, twisted, well-balanced, and right in the perfect mood. A murder? A ghost? An old man? Rules? Rules are rules! Pretty imaginable the scenes in the mini HOGs, where the screens not only change but with movement like you go deeper, to unravel a new screen with hidden obejcts. I love those Mist-like elevator controls, going both vertical and horizontal. After a few couple of hours, you forget you're playing a mini game! And it even has a bonus round. Rated 5 out of 5 by coolplaid from Delightfully spooky I like a relaxed, casual game with a decent story, plenty of HOSs and a Good Map, and this game was nearly perfect. It was a little heavier on the puzzles than HOs, but they were easy enough that I didn't mind, and the story was really excellent - creepy and hokey in all the right ways, with enough mystery to keep me paying attention to the dialog. The length was good - not too short - and the pacing was good for a casual player who's not going to do the whole game in one sitting. The scenes were lovely and interesting. The journal was actually useful for a change - I wouldn't have kept up with the timetable without it, that's for sure - and the map was everything I wanted (yes, it transports, yes, it tells you where there's something to do). Rated 5 out of 5 by alphafem from Bring your "A" game! Yes, it starts rather slow and boring...you can tell those who did only the demo. It may not be "fun"..in the birthday party sense, but, what creepy game is? I bought it, played it, and it met my level of Challenge. If you like to take your time with a game (not race thru) this is a good one. HOP's are new, varied, and excellent. The Mini-Games, while not impossible, do take some thought. Pssst...I did skip two. I will leave those to the "Mini-Game Masters"...with my hat doffed to them. To Challenge yourself...this is an excellent game. Please take your time and enjoy! Rated 5 out of 5 by patricia356 from Almost Missed this Gem. I had played a little of the demo and then never purchased until I had to use up a credit. Wow! What a bargain. Loved the unusual story and the off beat scenery. Thought the voices were quite good-better than most. The music was varied and fit the narrative. A couple of scenes looked familiar to me, especially the scene with Sebastian in the water tank but it was not a distraction. Not too many HOS. LOTS of fun games. Wish you had the opportunity to replay them without going through the whole game. Main con would be that I thought the graphics lacked real impact sometimes and were occasionally obscure. Game is long and you are constantly finding new parts of the mansion which keeps things interesting. Interactive map but not too much back and forth. Rated 5 out of 5 by gleamrob from Don't understand the bad reviews I really enjoyed this game. 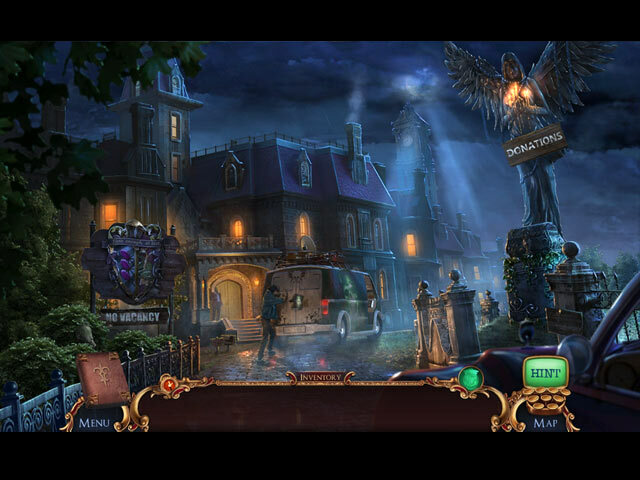 I enjoy all of the Mystery Case Files. After the reviews, I played this as a stand alone game, not one of the others. 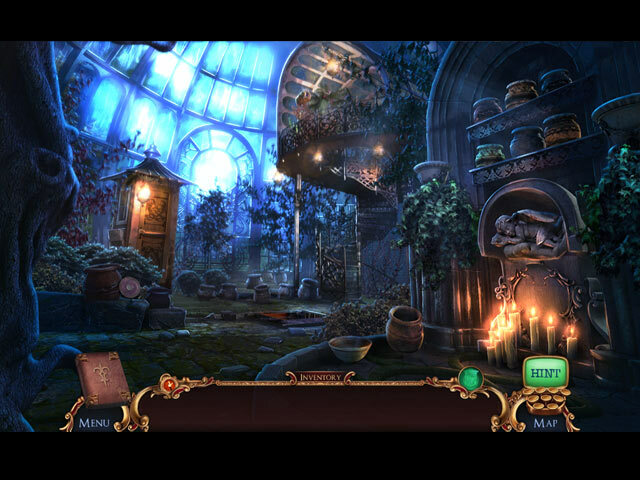 I liked the story line, the hidden objects and I always love the puzzles that have several components on one page. I really don't understand the dislike. I recommend it. Rated 5 out of 5 by Crisangeli from No monotony Lots of difficult mini games. Loved it!